By CNN'S JIM ACOSTA AND KEVIN LIPTAK CONTRIBUTED TO THIS REPORT. 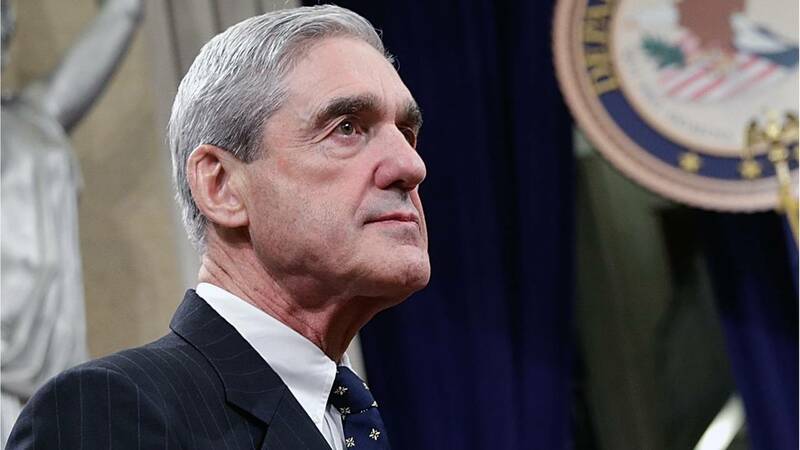 The specter of special counsel Robert Mueller's investigation has loomed over all but a few months of President Donald Trump's presidency. Now, the President and his aides are bracing for Mueller's investigation to conclude -- and whether his final report will signal the end of their long legal nightmare, or merely the beginning. But like everybody else in Washington, the White House is in wait-and-see mode. White House officials are aware of the speculation that Mueller could file his report at any moment and are prepared for that possibility, but they have no special insight or inside information about when that will happen. "We're tea leaf reading like everyone else," one White House official said. In the meantime, the White House's special counsel Emmet Flood and his team charged with responding to Mueller's inquiries have prepared possible responses from the White House to whatever becomes public. Flood and his team have gamed out the outlines of how the White House would react to different scenarios, based on the extent of Attorney General Bill Barr's disclosure to Congress and whether the findings are exculpatory or damaging to the President. The White House press shop, meanwhile, is on alert, but has largely kept its distance from preparations related to the Mueller report. A senior White House official told CNN earlier this month that the White House has, however, mulled the possibility of responding to the report with a statement from the President or White House press secretary Sarah Sanders, depending on the outcome. Whatever the preparations, White House officials know that Trump could decide to act on his own -- taking to his favorite social medium, Twitter, to hail or attack the conclusions of the investigation. The Trump campaign -- which has recently beefed up its communications team to include a research director and head of surrogates -- is also prepared to dive in and respond to whatever surfaces. "We will be prepared and we anticipate that the reports will exonerate the President and demonstrate that there wasn't any collusion," a senior Trump campaign official said. "The campaign will be naturally involved and engaged in responding to the report." "We will be aggressively responding," the official added. Some in the President's political orbit have begun to believe -- and hope -- that the Mueller report will be good news for the President, granting him the exoneration that Trump has so desperately sought since the Justice Department began to probe allegations of collusion between the Trump campaign and Russia. "This clears the decks for us," a Trump campaign adviser said, expressing hope for an exculpatory outcome.